On a personal note, Viswanathan Anand said his path to the next Candidates will be through the World Cup to be held in Russia from September 9 to October 2. 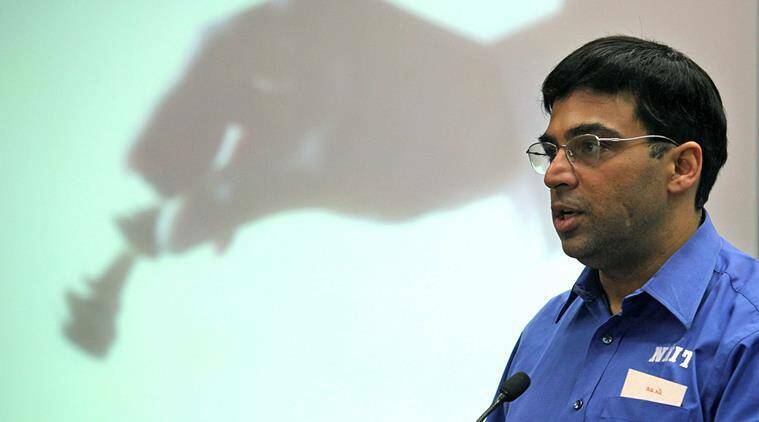 Stressing that there is amazing depth in age group 8-20 in the country, multiple-time chess world champion Viswanathan Anand Monday said the need of the hour was to give them platforms to train and compete. The 49-year-old chess wizard said India’s youth chess team is one of the most competitive in the world. “Indian chess players, we have amazing depth. I don’t know (what) the lower number is, but in the 8-20 group we have an amazing amount of depth. In fact, our youth chess team is one of the most competitive in the world,” Anand told reporters in Mumbai. Anand was speaking on the sidelines of the EKA|IIFL Investment Managers 4th Mumbai International Chess Tournament being held at the World Trade Centre. “It is incredibly hard to become the national champion in many age-group categories. I think (some) international tournaments are slightly off the pedal. It is harder here than there. It’s very good that we have so many platforms like the IIFL wealth event, which also not only has the main event, but also has the important U-13 event. We have the players, the depth but now we need to start giving them platforms to train and compete,” Anand explained. Anand, who was appointed as the Asian Continental Assistant to the World Chess Body FIDE, said he hopes he will not only be consulted about rules, regulations, but also about the game. On a personal note, Anand said his path to the next Candidates will be through the World Cup to be held in Russia from September 9 to October 2. The top two finishers in the tournament will qualify for the Candidates Tournament for the World Chess Championship 2020. “For me, the route is fairly narrow in the sense that I have to play the World Cup. Obviously, the easiest thing would be to qualify in the World Cup. I hope I can learn from the previous experience and can do a better job this time,” said Anand. “The second route is much narrower, which is the rating route. I would have to gain at least another 30 points and pretty fast because it’s a monthly average thing, so I cant leave it for too late either. So my path to the next Candidates will be through the World Cup, one way or the other, and I hope to do well there,” he added.